The Real Estate Regulation and Development Act, 2016 (RERA) came in to force a little more than a year ago. A lot has been said about how in the last one year not much has been achieved by it. However, there is one good thing that has been introduced by RERA-title insurance. The Act mandates the purchase of title insurance for all new and ongoing property developments registered with the regulatory body. HDFC Ergo, a general insurance company, has recently launched 'Title Insurance Policy', a first of its kind product in the private insurance segment in India. 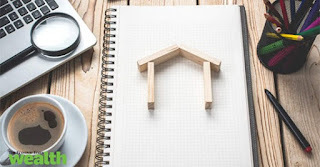 Essentially, it provides indemnity to developers and the subsequent owners of the property against losses and risks related to defects in the title arising out of third-party challenges. Now, before we tell you what title insurance covers, here is a look at why there is a need for such a product. A big worry among home-buyers, especially now, is the delay in getting possession of their homes or even worse, the project itself getting stalled. One of the many reasons for a real estate project to get stalled is the claim by some other person on the land being owned by them and not by the builder or developer. A dispute of this nature arises primarily due to the claim on 'ownership', i.e., the 'title' of the property. Title refers to the legal ownership of the property established through the registration of the property documents. Every time, a property is sold and bought, the title. i.e., the ownership changes. And, this may lead to defects in the title itself. "Land records in India are not easily accessible due to lack of digital infrastructure. Moreover, the risk of faulty land records has grown quite high as cost of land across the country has grown exponentially in the last few decades," says Surendra Hiranandani, Chairman & MD, House of Hiranandani. These disputes can generally lead to long drawn court cases involving time and money. Not just for a new construction, such an incident may happen elsewhere too if any individual has bought land or a ready-to-move in property from another individual in a secondary sale transaction. Unlike other insurance products, the insurance coverage in title insurance is not restricted to events happening in the future. Simply put, title insurance even covers issues not discovered prior to the commencement date of the policy. Some of the defects in the title may emerge because the title of property may belong to someone other than the insured or the previous deeds of the property being inadequate or because of one of the previous transaction being subject to an act of fraud or forgery by a third party. These incidences may adversely affect insured's rights over the title of the property. Even though the initial cost is borne by the builder, the society may have to pick the tag if required at a later stage. "The premium usually is payable in one single payment for the entire policy period, i.e., ranging from 7 years to 12 years. The policy can be further renewed for a period of 7 or 12 years by the housing society, on expiration of the policy," informs Anurag Rastogi, Member of Executive Management, HDFC ERGO General Insurance. What is in it for home-buyers? Even though title insurance may not be available for home owners of individual land, it will stand to benefit society home-buyers. Once the title insurance policy is bought by a builder by paying the premium amount, it has to be subsequently assigned to the association of allotees of the housing societies, who are the ultimate beneficiaries of the policy. "The current policy is offered to developers with an indemnity limit of over Rs 5 crore, wherein the developments undertaken could be for corporate or residential projects. Having said that, we are evaluating the market for a product which could be offered to individual home owners as well," says Rastogi. n case of any claim by a third-party in the future, the title insurance can be invoked and can indemnify all the home-buyers to the extent of the loss incurred by them. All the defence or legal costs incurred including any out-of-court settlement are covered under the policy. This is in addition to a written affidavit that a builder has to provide to RERA that the legal title to the land on which the development is proposed has legally valid documents with authentication of such title if the land is owned by another person. Will it hike real estate prices? Insurance comes at a cost and there is a possibility that getting a title insurance plan could push up the price of the property. "Hopefully, if there a large number of takers the costs would fall. Right now it (the policy) is prohibitively expensive and would impacts costs and therefore prices," informs Hiranandani. On the other hand, Rastogi feels, "The premium will be a small fraction of property cost and we think this would not impact the property costs at all." In practice, the actual premium will depend on various factors. If the ownership involves a home loan, even the lending institution may be asked to share the cost as their interest is also involved. RERA registered builders don't have an option but to get title insurance now. "While, title insurance has been developed stemming from the requirement of RERA that mandates its purchase, the product can be purchased even for non RERA registered properties which was built many years back," says Rastogi. Nothing stops a society association from getting a title insurance cover if there is an iota of a doubt about the title of the land. After all, with the insurance of the title of the land in place, any negative surprise can be kept at bay.